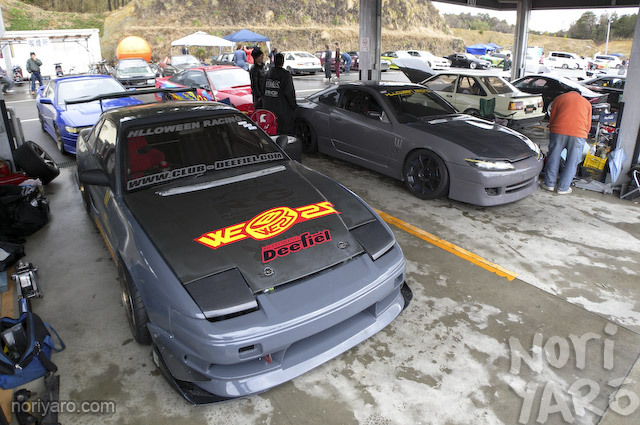 Here’s some sweet rain drifting by Jyamaken (PS13) and Chokkichi (S15) from Wish-R/Team Hlloween from last weekend. I just love how 180SX looks!! Color contrast with track is awesome, also i love S15, clean lines.. ooooooh!! New paint scheme for Hlloween Racing this year or something? Thought they used to have red cars? Very awesome shots, and looks like good times were had by everyone despite the rain! Aaahhh! Are back in Japan/Tokyo in about 2 weeks from now.. Cant wait! Dam i love how close the japanese can and do get to solid concrete walls! We have nothing we can get that close to in New Zealand! more excellent driving and photos!!! LOVE this site! do you have any more pictures from that event? The S15 and 180 are both amazing. It seems like it was a great event even though it rained. I love the wheels on the 180. Oh wow, just kill me now. Onevia S13 + Origin Aero + Massive Angle always makes me think of Kuroi. But damn, it’s been raining like crazy here in Hawaii. 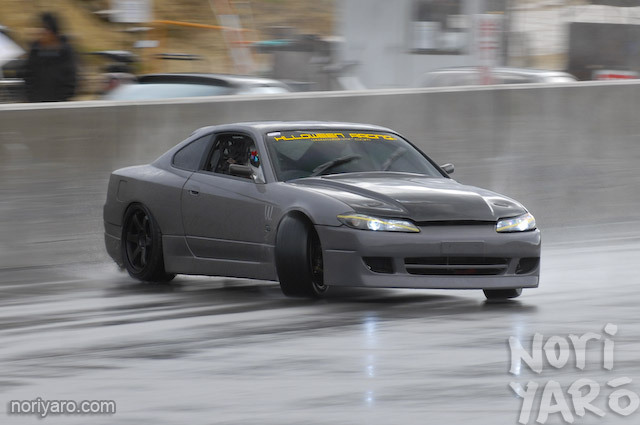 Maybe I’ll pull out my S14 for a little fun, tonight…. I would like to know what are the URL on the Hlloween car. Also the old wish cars paint were more eye catchy! 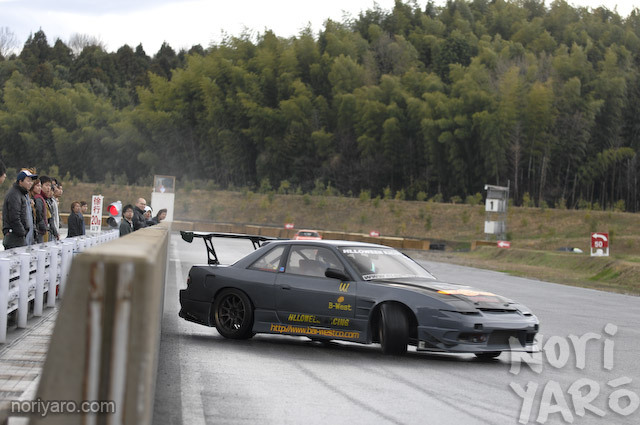 Hey alexi what kit is that on the s15? i think that’s a Supermade Instant Gentleman kit. 6 coats of clear over primer is BACK! 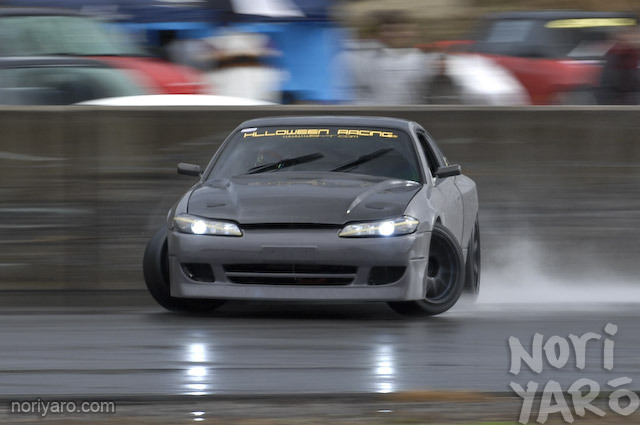 I absolutely love pictures of drifting in the rain! ahhh that onevia, has been one of my favourite for a while now! do u know if its been painted recently? looks..bluer. oh man i remember watching that S13 on msc challenge recently… jyamaken is nuts! gray on black!!!! good to go! can anyone help out with the paintcodes on those 2 carS?